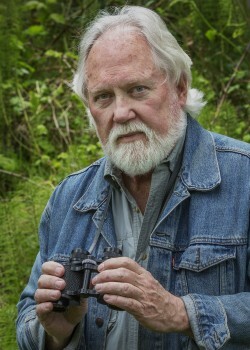 A writer we first presented over thirty years ago, on the occasion of his landmark book, Wintergreen (which recently merited a thirtieth-anniversary reprint edition), and who has been through with numerous works of non-fiction and nature study, Robert Michael Pyle makes this welcome return on the occasion of his very first novel, Magdalena Mountain (Counterpoint). First novel it may be, but this is one of accomplished work, a vision that is earned and achieved. 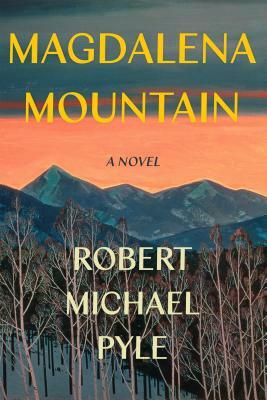 “Fans of Robert Michael Pyle’s nonfiction will not be surprised to find his first novel abounding in details of the natural world—lovingly described plant and animal and insect life across the changing of the seasons on a remote Colorado mountain. What they may not expect is the bold imagination he brings to these pages—an amnesiac who might be the reincarnation of Mary Magdalene, a pantheist colony of monks in cahoots with feminist antinuclear activists, a Yale graduate student on the trail of a mysterious hitchhiking lepidopterist! Magdalena Mountain is thoroughly original, and thoroughly Robert Michael Pyle. Enjoy!” —Molly Gloss. “An elegant, eccentric novel of love, loneliness, and lepidoptera...Worthy company for work by other naturalist/novelists: Nabokov, Matthiessen, Kingsolver.” —Kirkus Reviews.